Debbie Thomas began her career at Texas A&M in 2004 as an assistant professor. 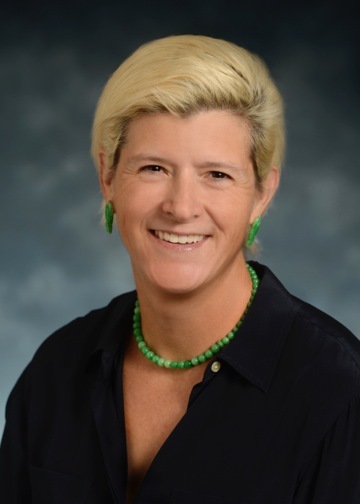 Deborah (Debbie) J. Thomas, associate professor, has been appointed head of the Department of Oceanography, effective June 1. She was previously interim and assistant department head. She has been approved for promotion to professor effective Sept. 1. Thomas is the first female department head in the College of Geosciences. Thomas received her master’s degree in marine sciences and her doctoral degree in geological sciences from the University of North Carolina. Her undergraduate degree is in geological sciences from Brown University. Thomas’ research mainly concentrates on the paleoceanography of the Cretaceous and Cenozoic, using the deep-sea sedimentary record to investigate the role of the deep oceans in global heat transport during different climate states. She was instrumental in establishing the R. Ken Williams ’45 Radiogenic Isotope Geosciences Laboratory. Among Thomas’ honor and awards are invited keynote speaker for the Shell Science Seminar at the National Science Teachers Association’s national conference; the Freshman Convocation keynote speaker at Texas A&M; and Distinguished Lecturer for the Consortium for Ocean Leadership. She was also a Montague Center for Teaching Excellence Scholar, and she received the college-level Distinguished Achievement Teaching Award from the Association of Former Students. She and her students have published numerous publications, and she has been thesis or dissertation advisor to 13 students. She is a Geology editorial board member, is an invited speaker to numerous workshops and conferences, and a steering committee and panel member on several NSF and IODP initiatives.